What happens when you combine the World's Greatest Detective with a Japanese master artist and storyteller? Jiro Kuwata's Batmanga, that's what! 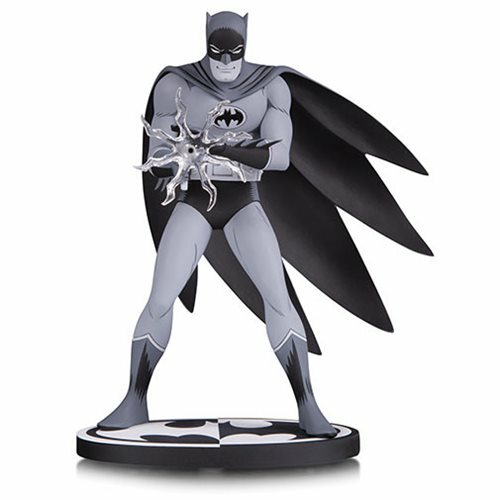 This statue-based on Kuwata's design from the seminal 1960s manga series captures the essence of this reimagined version of The Dark Knight. Complete with a stylized cape, manga-style shading and Juwata's take on the arsenal of gadgets, no Batman collection would be complete without it! Limited to 5,000 pieces. Individually numbered. Statue stands approximately 6 1/3-inches tall.